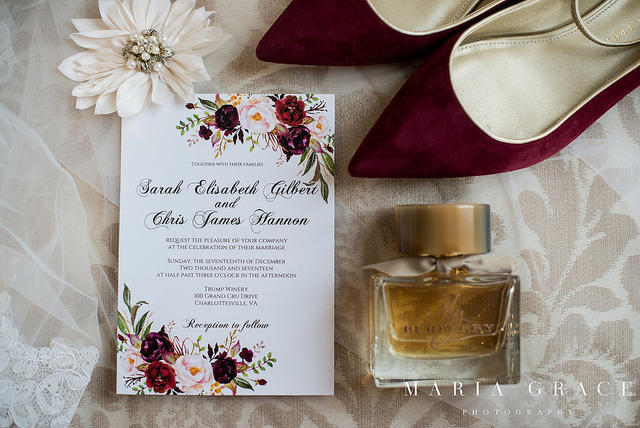 If you’re looking for inspo for your gorgeous winter wedding, we’ve found the perfect one for you! 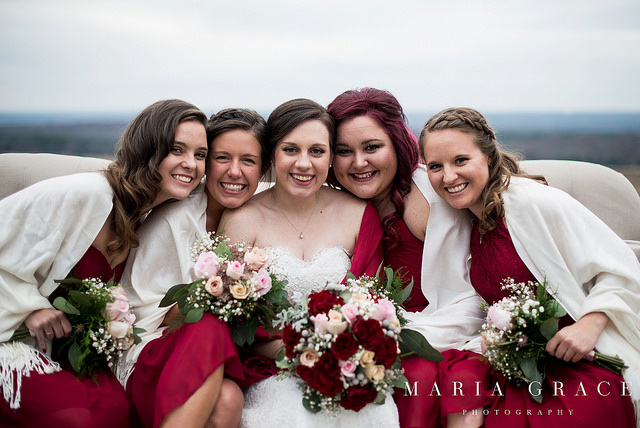 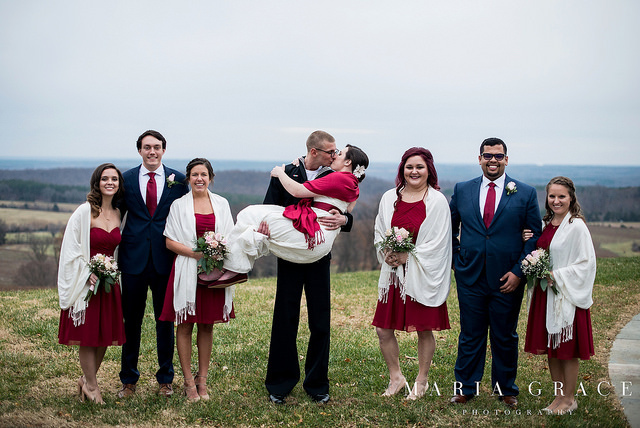 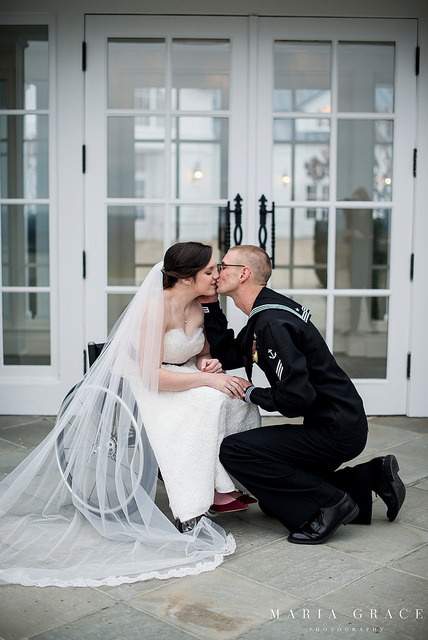 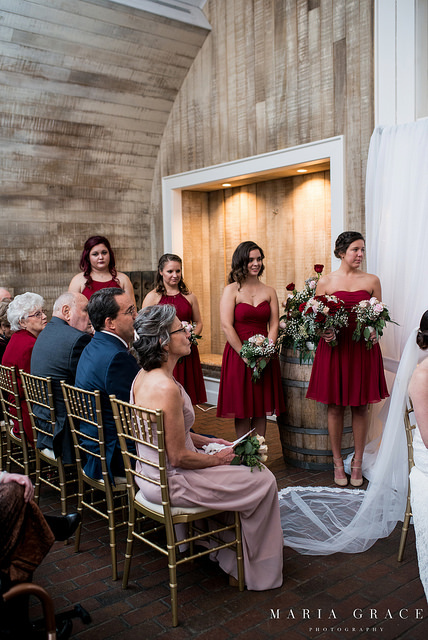 Sarah and Chris had a modern, vineyard wedding complete with burgundy bridesmaid dresses with cream colored wraps, warm wood accents and blush roses. 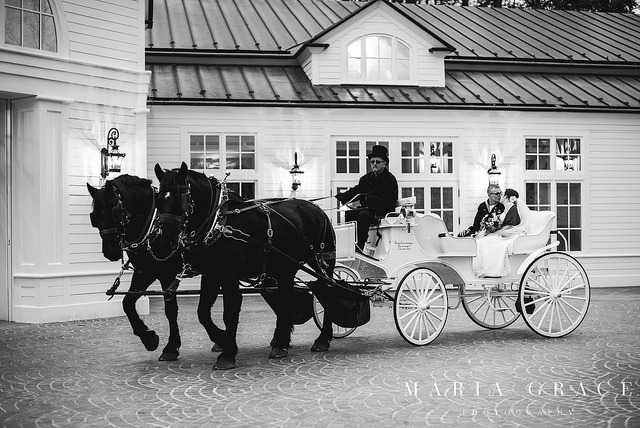 Their classic send off featuring a horse and carriage, and this romantic big day is an absolute must-see!